Cognitive impairment is a common presenting symptom in a variety of neurologic conditions. This chapter follows the case of a patient who reports a mild decline in cognitive functioning, which gradually progresses to impairments across multiple cognitive domains and interference with daily activities. Treatment options across the spectrum from a mild neurocognitive disorder to the terminal stage of Alzheimer’s disease are discussed. Recommendations regarding treatment initiation with cholinesterase inhibitors, dose titration, combination therapy with memantine, treatment discontinuation, and management of side effects are presented. The role of other therapeutic interventions, such as vitamins, dietary supplements, and lifestyle-based interventions, is also discussed. Finally, a brief survey of the treatment of cognitive impairment in other neurologic disorders, such as multiple sclerosis and Parkinson’s disease dementia, is provided. Sungkarat S, Boripuntakul S, Chattipakorn N, Watcharasaksilp K, Lord SR. Effects of tai chi on cognition and fall risk in older adults with mild cognitive impairment: a randomized controlled trial. J Am Geriatr Soc. 2016. https://doi.org/10.1111/jgs.14594. Lampela P, Tolppanen AM, Tanskanen A, Tiihonen J, Lavikainen P, Hartikainen S, et al. Use of antidementia drugs and risk of pneumonia in older persons with Alzheimer’s disease. Ann Med. 2016:1–10. https://doi.org/10.1080/07853890.2016.1254349. Important Drug Warning. U.S. Food and Drug Administration. 2010. http://www.fda.gov/downloads/Safety/MedWatch/SafetyInformation/UCM226090.pdf. Accessed 1 Dec 2016. Statistical review(s). Donepezil 23 mg tablets drug approval package. U.S. Food and Drug Administration. 2010. https://www.accessdata.fda.gov/drugsatfda_docs/nda/2010/022568Orig1s000StatR.pdf. Accessed 1 Dec 2016. Medical review(s). Donepezil 23 mg tablets drug approval package. U.S. Food and Drug Administration. 2010. Available at: http://www.accessdata.fda.gov/drugsatfda_docs/nda/2010/022568Orig1s000MedR.pdf. Accessed 1 Dec 2016. Matsunaga S, Kishi T, Iwata N. Combination therapy with cholinesterase inhibitors and memantine for Alzheimer’s disease: a systematic review and meta-analysis. 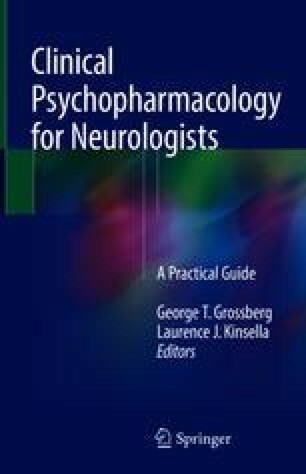 Int J Neuropsychopharmacol. 2014. https://doi.org/10.1093/ijnp/pyu115.